If you are a Potter Head like myself, you love any excuse to celebrate it and all it's magical fun. What better way to enjoy it than a magical festival based on the Wizarding World? The Event That Must Not Be Named appears to be shaping up to be quite the adventurous HP event. I've been following the event page on FB for quite a while now, and the daily pictures and updates keep spurring excitement for the event. There will be 2 days of activities, food and vendors. If you love Harry Potter…..We invite you to join us on March 10th and 11th for The Event That Must Not Be Named at Heritage Place in OKC! Come celebrate the magical world we all know and love! Is your scar tingling like ours is? 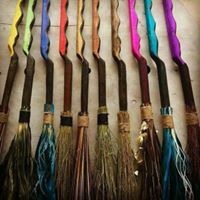 Come seek a magical wand, enjoy plenty of Butterscotch beer, play a game of Quidditch, shop unique vendors, and meet our live owls. Tickets are currently on sale but are limited to keep the event fun and safe for everyone. 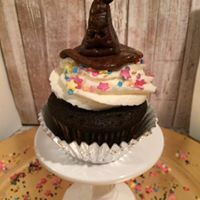 We ask that you order early so we can prepare for this celebration and plan wizarding task for all ages!! Shine up those wands and come cast spells with us...we solemnly swear that we will bring you A Day of Magic! The event runs Saturday and Sunday March 10-11. Saturday is 9 a.m. until 5 p.m. and Sunday is 11 a.m. until 4 p.m. but it is a come and go as you please event during those times. The event will be held at Heritage Place at 2829 S MacArthur Blvd. OKC, Ok 73128, tickets are available online here and are $14 for adults and $10 for children, with under 3 free admission. You can find out more information on their FB page. I'm looking forward to checking it all out!